Public Security Minister Erdan announces Brig. Gen. (Res.) Gal Hirsch as his choice; Hirsch resigned from army after criticism of conduct in Second Lebanon War; interim chief Sau declares resignation. Public Security Minister Gilad Erdan announced on Tuesday that he was nominating Brig. Gen. (Res.) Gal Hirsch, who is not a member of the police force, as Israel's next police chief. Before Hirsch assumes the role, the appointment will have to be confirmed by the government and a special commission. Hirsch resigned from the army following the Second Lebanon War, after he was harshly criticized for his conduct. The appointment was a disappointment for interim police chief Deputy Commissioner Bentzi Sau, who arrived earlier Tuesday at Erdan's Tel Aviv office together with Northern District Chief Deputy Commissioner Zohar Dvir and Southern District Chief Yoram Halevy. Erdan told the trio that none of them would be his choice. Associates of Bentzi Sau said soon after the announcement that he intended to resign from the police force when his term as interim chief draws to an end on September 1. Hirsch, 51, grew up in Arad and has a bachelor's degree in Middle Eastern Studies from Bar Ilan University as well as a master's degree in Business Administration from Tel Aviv University. He began his military service as a paratrooper and in April 2005 was appointed commander of the IDF's 91st Division. He was the target of public criticism during the Second Lebanon was when he reported to media outlets that the IDF had gained control of Bint Jbeil a day before an ambush killed eight Israeli soldiers in the town. In his 2006 resignation letter from the IDF, presented to then-IDF Chief of General Staff Dan Halutz, Hirsch stated that he was not supported for the entirety of the war, and that his name has been dragged through the mud. "It's not right to do this to a commander," wrote Hirsch, adding that the IDF and the state of Israel are his life's essence –and that he's been in uniform since age 14, suffering two injuries and returning to service. Hirsch stated that he decided to resign after he and his family went through a difficult period. He emphasized that he was proud to be given the privilege of defending his country. Multiple police sources said the delay in appointing the new chief and the consideration of non-police candidates stemmed from disagreement between Erdan and Prime Minister Benjamin Netanyahu, who championed Dvir and Halevy, respectively. Erdan met heavy criticism within the police in the past few days because of his perceived delay in picking the new chief. Sau has served as interim chief since July 1, and his term will end on September 1. Meanwhile, criticism has risen regarding the idea of outside nominees. "It's a sign of a lack of belief in the current deputy commissioners, which hurts the police force," said a high-ranking officer. "The police needs a commissioner urgently. Everything has been on hold for months, and Sau can't make decisions, and he too says that he's waiting for a commissioner," said another officer, adding: "The wait isn't hurting the police's operational abilities, but it is harming many processes vital to building the organization's infrastructure." 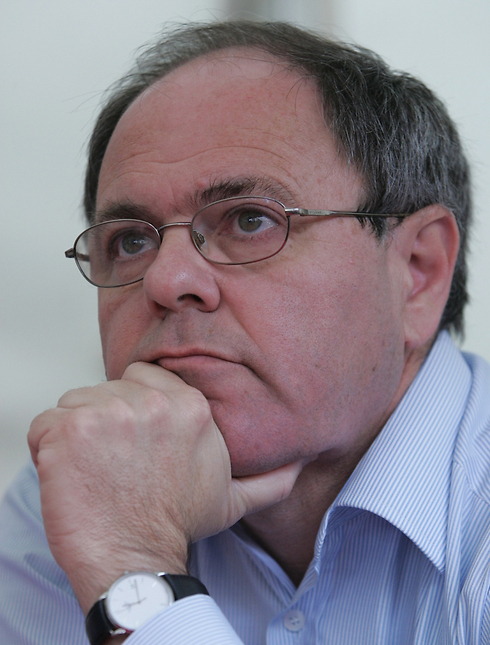 40 leading organizations Brazil as well as some members of parliament are calling for a unilateral rejection of the appointment of former Yesha leader Dani Dayan as Israel's ambassador to the South American nation. Forty leading organizations in Brazil have signed a petition condemning Israel's decision to appoint Dani Dayan, the former head of the Yesha (Judea and Samaria) Council, to the position of ambassador in Brazil. The petition, which declares the selection of Dayan as ambassador as a "violation of the international legitimacy and sovereignty of Brazil," was sent to Brazil's president with the demand to reject, demanding that the government reject Dayan's appointment. A few members of the Brazilian parliament have joined the condemnations and described the step as a challenge to Brazilian sovereignty and the country's official diplomatic positions – which view Israeli settlements in the West Bank as illegal under international law. The members of parliament labeled the appointment as an "attack on Brazilian diplomacy." According to diplomatic protocols, after the Israeli government officially confirms Dayan's appointment, it will send the Brazilian government a request to approve the appointment as well. Theoretically the Brazilian government reserves the right to reject the appointment; however this would be seen as a very unusual move, which is only reserved for the most extreme cases in which an appointment harms the host nation's national interest. Prime Minister Benjamin Netanyahu announced Dayan's appointment a mere three weeks ago. Brazil, a large South American nation with a population of 200 million, is the seventh largest economy in the world. Israel views the creation of strong economic and trade ties with South America, and Brazilian markets specifically, as of the upmost importance. 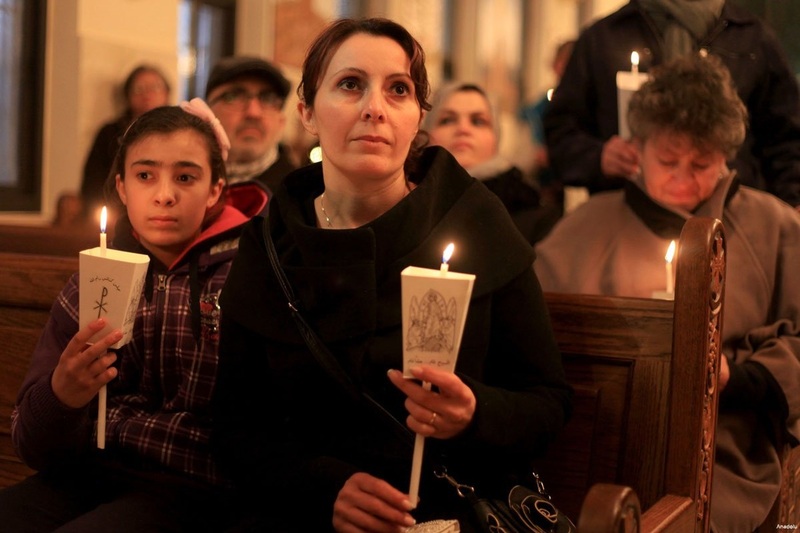 The country is also home to a growing population of over 40 million Evangelical Christians who support Israel. Dayan, 59, served as the head of the Yesha council in the years 2007-2013, and dealt with hasbara activities in Israel and abroad on a daily basis. Officials in the Foreign Ministry responded to the petition saying: "We have no doubt that at the end of the process, including the Israeli government's official approval of the appointment, and the request for confirmation from the Brazilian government, Dayan will usher stronger ties between the countries. 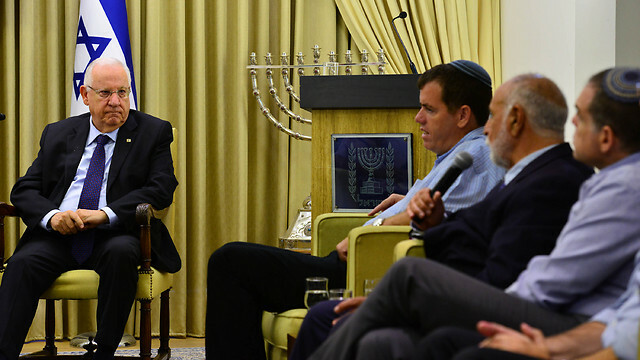 His appointment expresses the special importance Israel places on its relations with its friend Brazil." President makes remarks in meeting with settler leaders in the wake of harsh criticism leveled at him during the aftermath of the Duma attack. President Reuven Rivlin said during talks with settler leaders on Monday that Israel had a "right" to build settlements in the West Bank, his office said in a statement. For Rivlin the "land of Israel" includes the West Bank, where Jewish settlements are considered illegal under international law. "We must not give anyone the sense that we are in any doubt about our right to our land. For me, the settlement of the land of Israel is an expression of that right, our historical right, our national right," Rivlin said. "I have no doubt that it is clear to all of us, that in order to realize the ultimate goal of building the land of Israel, we must be sure to do so only with the use of the legal tools available to us. Our sovereignty in this land, means responsibility for all those who live here, and obliges all of us to uphold the strictest of moral codes, which is inherent in each and every one of us," the president continued. His comments come at a time of heightened tension between Israel and the Palestinians following the death in July of a Palestinian toddler and his father in an arson attack on their home. In the wake of the firebombing in the West Bank village of Duma, three alleged Jewish extremists were placed in administrative detention. On Sunday, the Shin Bet domestic security agency said the deadly attack had "emanated" from a wildcat Jewish settlement outpost near Duma. The agency said "restraining orders" restricting the movement of 10 activists had been issued as a result. Rivlin condemned "Jewish terrorism" after the July arson attack in a post on Facebook, which was later followed by death threats against him. 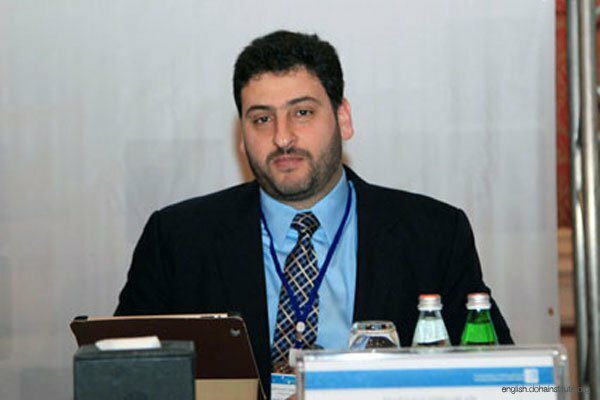 Member of Hamas's political bureau Ezzat al-Resheq has warned the Israeli occupation authority of dire consequences if it allowed the holding of a wine festival in the historic Islamic cemetery of Mamanullah in Occupied Jerusalem. In press remarks on Saturday, Resheq condemned Israel's intention to allow a wine festival to take place in Mamanullah cemetery as "a violation of the Islamic sanctity of the site and a provocative act against the Muslims." He emphasized that Israel's persistence in defiling and destroying the Palestinian waqf sites would never change their Islamic identity. 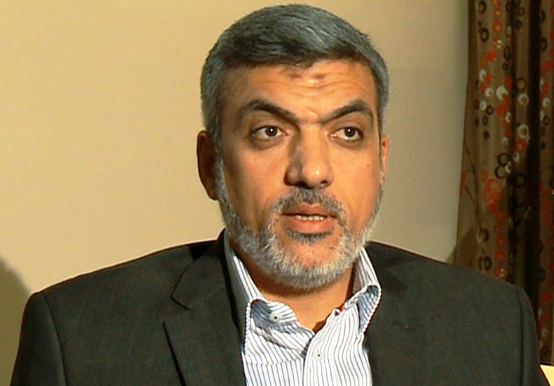 The Hamas official urged the Palestinian people in the occupied territories to stand up against such blasphemous festivals and prevent the Israelis from holding them by all means possible. 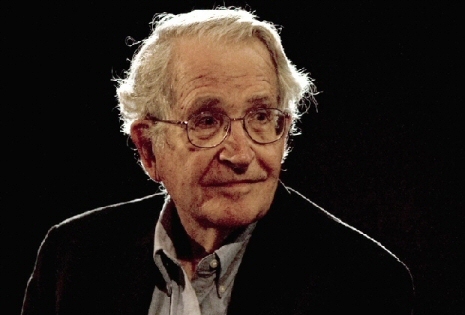 Famous American linguist Noam Chomsky has described the actions of the Israeli occupation in Palestine as “worse than South African apartheid”. “In the Occupied Territories, what Israel is doing is much worse than apartheid,” Chomsky says, according to Days of Palestine. “To call it apartheid is a gift to Israel, at least if by ‘apartheid’ you mean South African-style apartheid. In an interview conducted last Sunday on CNN with Fareed Zakaria, US President Barack Obama stated that he does not remember having encountered a foreign politician who interfered with American foreign policy as much as Israeli Prime Minister Benjamin Netanyahu does today, especially when it comes to the nuclear deal with Iran. Aside from the fact that Obama expressed his “dissatisfaction” with Netanyahu’s interference in US foreign affairs, the American president felt it necessary to emphasise the “special relationship” between the United States and Israel, and the former’s “absolute commitment” to ensuring the security of the latter. I would not be adding anything new by saying that the relationship between the two men has been tense since early 2009, and that Obama’s promises to the Palestinian people and his ambition to be the first US president to bring peace two the two parties has evaporated as a result of Netanyahu’s stubbornness. What hurt the relationship the most, both on the personal and the governmental levels, was when Obama left a meeting with Netanyahu at the White House in 2009 under the pretext that he had to have dinner with his family, as well as Netanyahu’s endorsement for conservative candidate Mitt Romney during the 2012 presidential elections. The Iranian nuclear deal has strained the relationship between the two men and the two administrations even further. Despite the significance of the deal and the threats to Israeli security that any future agreement may give rise to, President Obama went through with the agreement and ignored Netanyahu’s objections. Moreover, Obama’s actions prompted Netanyahu to form a stronger alliance with the Republican Party, which currently enjoys a majority representation in both the US House of Representatives and the Senate. The Israeli Prime Minister gave a speech to Congress last March without Obama’s pre-approval, which was met with resentment by the White House. The Obama administration succeeded in confronting and getting past Netanyahu’s objections to the Iranian nuclear deal mainly because Obama himself sees this as a great part of his presidential legacy. The Israeli administration, along with its Republican allies, has not stopped trying to backtrack on the agreement and are using all their efforts today to stall it wherever possible.. Proof of these efforts is embodied by the recent trip to Israel of more than 58 Republican and Democratic representatives from US Congress, all of whom are members of AIPAC, Israel’s biggest force in Washington. These US representatives met up with Netanyahu to discuss the details of the nuclear deal with Iran. The objectives of both Israel and its US lobby are to bury the nuclear deal in Congress by getting at least two-thirds of Congress members to vote against it. While it is expected that Republicans within will vote against the agreement, they cannot override the power of Obama’s veto. Therefore, it is essential for Israel to reinforce its alliance with the Democrats, as the voices within Obama’s own party will prove to be invaluable. All these factors bring us to the reality that many are aware of in the United States – although few are willing to say it – that the Israeli-American relationship benefits Israel more than it does the US, and despite the fact that Israel security (and very existence) depends on the United States, it continuously bites the hand that feeds it. An example of this is the fact that Israel spies on its paternal ally and has been found guilty of selling the latter’s secrets to its Chinese competitor. In his 1989 book They Dare to Speak Out, former US Congressman Paul Findley discusses how AIPAC is quick to stifle any talk of re-evaluating the relationship between the United States and Israel and the detrimental consequences that the Israel Lobby has on US foreign policy in the Middle East. Findley is one of the US congressmen who lost his job due to ongoing pressure from the Zionist lobby. John Mearsheimer, Professor of Politics at the University of Chicago, and Stephen Walt, Professor of International Relations at the Kennedy School of Government at Harvard University, confirmed these sentiments in their book entitled The Israel Lobby and US Foreign Policy, which was released in 2007. Both professors have suffered a great deal due to the defamation campaign that has been launched against them since the publication of their book. Obama himself has not succumbed to the Israel lobby’s claims that he is not a “true friend” of Israel, accusations that have been launched against him time and again despite the fact that the reality on the ground proves the contrary given the Obama administration’s unprecedented military support for Israel. Yet, during the 2012 US presidential campaign, Republican candidate Mitt Romney was quick to claim that Obama wanted to throw Israel “under the bus” and later that he was leading Israel to the “oven door” with is nuclear deal with Iran. In short, what remains is Obama’s recognition that he is weak in this relationship; although in reality this confession is not of great importance. There needs to be recognition that the US is unable to escape Israel’s bullying, and while it is true that Obama has defied Israel a great deal as of late, we cannot negate the fact that Israel remains a master to its slave. As long as American politicians continue to pledge their allegiance to Israel before they pledge it to America, we should not hold our breath waiting for a change in America, even if dissent voices are beginning to emerge. 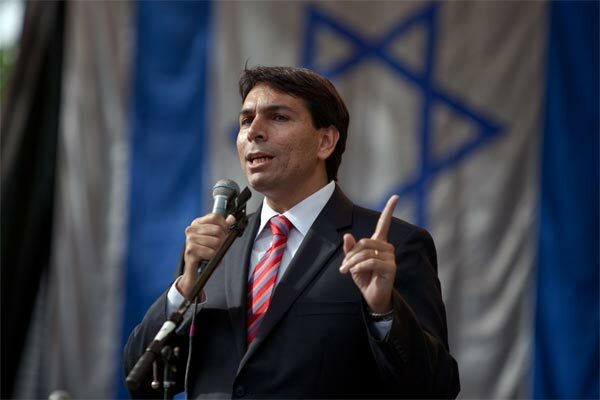 Prime Minister Benjamin Netanyahu has decided to appoint Science, Technology and Space Minister Danny Danon as Israel’s ambassador to the United Nations. Danon is expected to arrive in New York in late September for an orientation period before commencing his new role. His appointment to the position has sparked criticism both at home and abroad. Since then, he has pitted himself against the PM more than once. In one such incident, Netanyahu decided to fire Danon as deputy defense minister after he publicly criticized government decisions during last summer’s war on Gaza. Netanyahu said he fired Danon because his comments showed a "great degree of irresponsibility" at the height of a military campaign. In 2013, Danon told the Times of Israel that the Likud party would block the creation of a Palestinian state, even as Netanyahu, the party’s head, was opening the door for negotiations with Mahmoud Abbas, president of the Palestinian Authority. Netanyahu’s office then took what the paper called the “highly unusual step of contacting the Times of Israel during Shabbat” to distance the prime minister from Danon’s remarks. As the peace talks failed, Netanyahu was forced to renounce an article in Politico authored by Danon which accused US Secretary of State John Kerry of asking “Israel to negotiate with a loaded gun to our heads”. The above begs the question; why has Netanyahu given this prestigious position to Danon? Netanyahu has repeatedly claimed the UN is “biased against Israel” . Appointing Danon, who stands firmly against UN positions on issues such as Palestinian statehood and Israeli settlements, may not help matters. Domestically, the appointment is strategic. Danon is the chairman of the Likud Central Committee, a role in which he led a revolt against Netanyahu more than once. Posting him to New York removes one of the PM’s critic’s from within his own camp from the local scene. 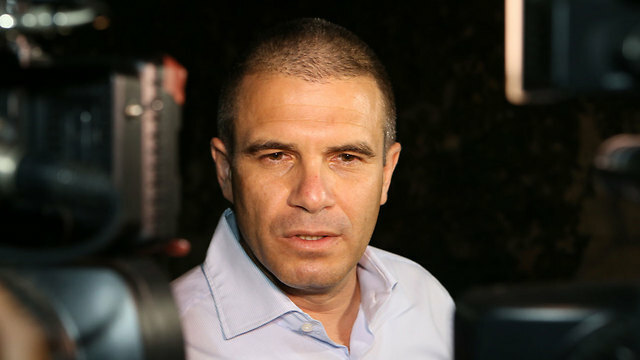 The post has already succeeded in reining the outspoken politician in; sources close to Danon told Al-Monitor said that he realizes this is an official post of considerable stature, and that he will be expected to represent the positions of the State of Israel, rather than his personal predilections. Those against the appointment of Danon are concerned that it will further Israel’s isolation on the international stage. However, international opinion has also not featured particularly high in Netanyahu’s recent decision making. In May he formed one of the most right wing coalition government in decades which included the likes of Naftali Bennet, who declared: "I have killed lots of Arabs in my life—and there is no problem with that" and Ayelet Shaked who caused international outrage this year for an online post in which she seemed to advocate for the genocide of Palestinians. Less than two weeks ago, Netanyahu named Dani Dayan, a former leader of the settler council who also staunchly rejects a Palestinian state, as Israel’s ambassador to Brazil, and days later, he named Fiamma Nirenstein, a right-wing former member of Italy’s Parliament, to represent Israel in Rome. Obama warned this spring that he was reassessing Washington’s longstanding policy of defending Israel in the United Nations and other international forums because of Netanyahu’s waffling on his commitment to the two-state solution. His appointment of such figures, the majority of whom have rejected a two state solution, could be taken as a show that he will not bow to international pressure, not from the US or the UN. Despite concerns of isolation, Danon’s appointment does have some strategic value in the international sphere. The UN’s General Assembly is scheduled to convene with the Iran nuclear deal and its pending approval by Congress looming in the background. Netanyahu has been leading a campaign to mobilise Jewish Americans to urge the Republican-led Congress to thwart the Iran nuclear deal, which has led to tension between the Israeli PM and Obama. Danon is well connected; he has forged political alliances with the most extreme elements on the conservative right wing of the Republican Party, notably with Texas Governor Rick Perry who has been one of Obama’s most outspoken critics. He also has ties to wealthy pro-Israel circles in the US- in 2013 Danon was found to have raised the most money from foreign donors of any Likud member. The UN job will bring him closer to these influential friends. Despite Danon and Netanyahu’s difficult relationship, the UN is something they both see eye to eye on and a shared disdain for the institution unites them. Netanyahu feels he needs someone who can fight Israel’s corner at the UN and knows Danon will do so vehemently. It is likely these old enemies will find much common ground when Danon arrives in New York. Republican Presidential hopeful stresses Jewish connection to West Bank territories in exclusive Ynet interview, says US embassy should be in Jerusalem. Republican presidential candidate Mike Huckabee reiterated Israel's connection to Judea and Samaria, and stated that peace cannot be possible with ongoing incitement in Palestinian schools, during a special interview with Ynet on Wednesday. 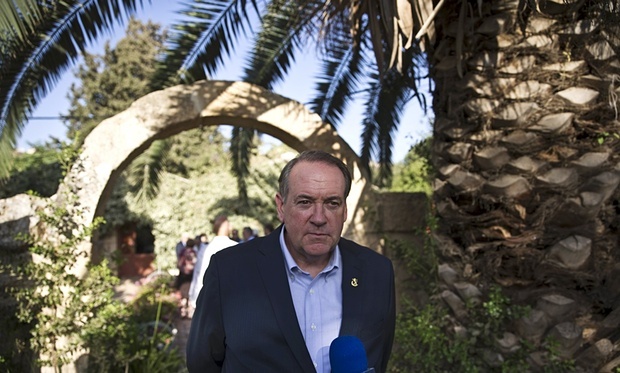 Huckabee is visiting Israel in the middle of the race for the Republican nomination for president. He visited the settlement of Shiloh on Tuesday stating that, "Shiloh was the capitol of Israel 3,500 years ago, to say Jews have no connection to Shiloh is bizarre. If you're going to visit Israel, you should visit all of Israel and that would include Judea and Samaria." Huckabee reiterated his statement in his interview with Ynet Wednesday saying, "Jews have a stronger connection to Shiloh than Americans do to Manhattan." Huckabee said that he has been coming to Israel for 41 years, and views the relations between the US and Israel as organic and not political, promising that as president he would, "Always make sure the US stood by its ally Israel." When prompted on the matter of the peace process, Huckabee asserted that a real peace could not exist so long as, "one of the sides acknowledging Israel's right to exist." He continued to state that a major problem in achieving peace lay in the ongoing incitement within the Palestinian school system, "You can't have Palestinian kids learning to hate Jews in school." Huckabee dismissed criticism of Israel's settlement policy, saying, "I would love to see a true peace in the world, but the question is does Israel have a right to build bedrooms for the expanding number of people who are coming here, who are making aliyah, to make sure there people have a secure land they can defend; I don’t know why anyone on this earth would think that they should surrender that right." He also added that previous attempts at withdrawing from territory had failed, saying, "Land for peace has not worked for Israel, They lose the land and they lose the peace." Asked whether he would move the US embassy from Tel Aviv to Jerusalem, he stated that, "I think it’s the capitol designated by the Israeli government and the us should respect that. We don’t insinuate that the Israelis have their embassy in new York or los Angeles; they put their embassy where the us capital is. Last time I checked, and I have been here many times in the past 40 years, the Israeli seat of government is in Jerusalem so it make perfect sense that the embassy be in Jerusalem." On the issue of the Iran deal and Prime Minister Benjamin Netanyahu's alleged interference in American political affairs, the presidential hopeful said, "Well, the Prime Minister of Israel is not endorsing any candidate, but I don’t hesitate in endorsing his actions in protecting Israel, I support his bold actions." The frequent visits by Israeli Ambassador to the US Ron Dermer don't faze Huckabee, as he puts it, "What is the purpose of the ambassador if not to present the interests of the country which he represents?" "An American ambassador goes abroad not to have a nice social relations with the people of that country but to advance US policy," he concluded. Huckabee dismissed the representation of Israel and the US as being a family feud, "Generally Americans are supportive of Israel and understand the relations we have. I don’t see this as a family fight, more like a dispute with members of this administration who will only be in office for another year and a half." Huckabee added that he believes an overwhelming majority of Americans are against the Iran deal, saying that he "Hoped more and more members of congress would go home and listen to the overwhelming portion of the population which elected them." On the content of the deal he added, "The US and Israel have vowed to prevent Iran from obtaining a nuclear weapon. This is a terrorist state, and we are empowering and enriching them through this deal, by unfreezing $150 billion in assets which they will use to buy conventional weapons." According to Huckabee, if Israel feels the need to strike Iran, "Israel has the power to make that decision they don’t need my assistance or approval to pursue whatever makes them safe." Republican presidential hopeful Mike Huckabee waded into Middle East politics by declaring on Tuesday that the West Bank was a part of Israel. Huckabee was visiting a West Bank settlement, telling reporters "if you're going to visit Israel you should visit all of Israel, and that would include Judea and Samaria," the biblical names for the West Bank. Republican presidential hopeful Mike Huckabee waded into Middle Eastern politics by declaring the West Bank to be part of Israel. 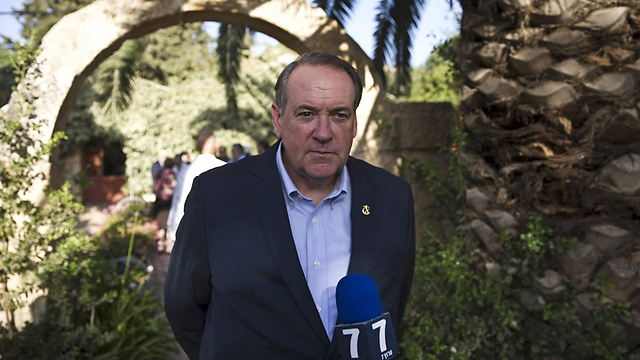 Huckabee made the remarks on Tuesday while visiting a West Bank settlement. He told reporters “if you’re going to visit Israel you should visit all of Israel, and that would include Judea and Samaria”, the biblical name for the West Bank. His comments are at odds with US policy. Israel captured the West Bank from Jordan in the 1967 war. Palestinians demand the area along with Gaza and East Jerusalem for a future state. The fate of West Bank settlements is one of the core issues at the heart of the conflict. Palestinians blamed settlement expansions for the breakdown in 2014 of US-mediated peace talks with Israel – a position supported in part by Washington, but rejected by the Israelis. Many evangelical Christians in the US view Israel as the modern iteration of the Old Testament Israelites designated as God’s chosen people. Huckabee, an ordained southern Baptist minister, noted on Sunday that he has travelled to Israel “dozens and dozens of times” since his first trip in 1973. Huckabee said he is visiting Israel to meet with officials to discuss the Obama administration’s nuclear agreement with Iran. Last month, Huckabee said President Obama was “marching the Israelis to the door of the oven” with the recent Iran nuclear deal. The Israeli Knesset (parliament) is to establish a new subcommittee to tackle so-called "lawfare". 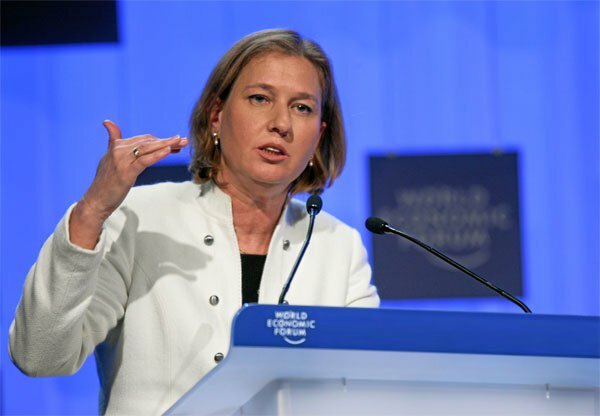 Headed by former Minister of Justice Tzipi Livni, it will defend Israeli soldiers in international courts, Yedioth Ahranoth newspaper revealed on Monday. The subcommittee is part of the Knesset Foreign Affairs and Defence Committee and plans to discuss international law in connection with war, the legitimacy of military actions and defending Israel and Israeli soldiers in those areas. The impact of the International Criminal Court and universal jurisdiction laws on Israeli military and civilian officials will also be assessed. "This issue does not get enough attention," claimed Livni, "but it is a war front like any other." She called for immediate and intensive legal preparation. "As foreign minister and justice minister, I acted to defend Israel and IDF soldiers in the international arena, where Israel is exposed to aggressive activities," she added. "The most recent report by the UN Human Rights Commission and legal action in The Hague are dangerous and require immediate, professional and focused care to protect the IDF's freedom of action in its war against terrorism." Livni said that the committee will work to ensure that Israeli soldiers and officers have freedom of movement without being compared to terrorists. "That's a comparison that I cannot accept," she insisted.